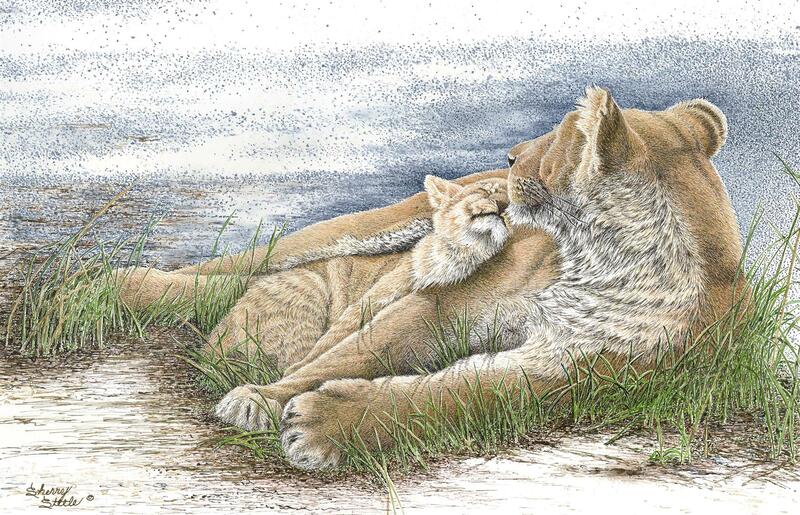 A tender moment between mother and cub is frozen in time. Still too tiny to re-join the pride, her precious cub is nestled safely against her. All he knows is that he is the center of her world . In this time of feast and frenzy around the waterhole, he is sheltered from the harsh realities of life on the Serengeti. It is a moment for them both to cherish.